Zero Loss Formula is a trading software for binary options that opened on August 14th. The Zero Loss Formula was created by the same company that made the Quantum Code software. The problem with the Zero Loss Formula is that they made a drastic change to the scam, they are now requesting your credit card information before you can see which broker you are connected too. Before you fall victim, to the most prevalent scam in binary options, these are some things you should know about Zero Loss Formula. If you are smart, you will take a moment to read how they steal your money, read this. Hundred of thousands of people just like you received a spam email about the Zero Loss Formula, but luckily most people do not fall for the scam. If you think that you can make money using this software, ask yourself this questions. Do you really think a software can take your $250 deposit at an offshore binary options broker, and make it $3,000 a day. Sorry to burst your bubble, but no trading robot can make miracles happen. 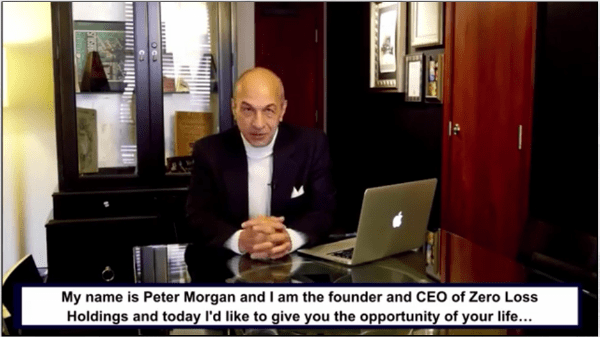 You need to know that Peter Morgan is a fake name, and Zero Loss Holding is a fake company. Basically, after you deposit your money, you will probably never see it again (read about the scam brokers below)! There are two types of automated trading software available for binary options. There are real trading systems and there are fake ones. The real trading systems give you complete control over the trading signals, and when the trades are placed. They let you minimize risk, and control which assets are trader. These systems you can find on the trading signals page, and see what they look like before you deposit money. The Zero Loss Formula has only one goal, to get you to give your money to a scam broker. News Flash: You will not make $1,125,630 a month using the Zero Loss Formula! Their trading software cannot be accessed without making a deposit, and they try to get you to believe that it is something amazing. The truth is that most people end up using a real software that you can try out the demo mode. The biggest issue in trading binary options is, you did not realize your broker is an unlicensed scam. Yes, you heard the correctly, your broker is a scam and you will never see your money again. Every country has licensed brokers, however, the brokers that work with the Zero Loss Formula are unlicensed and offshore companies. You can make money trading binary options, but you must first make sure you are dealing with a real broker or exchange. You can see the most popular brokers here. You can see more trading systems and software on our Trading Signals page. CM Trading is licensed by the FSB in South Africa, making them a popular choice, see here. They offer the Sirix and CopyKat trading platforms, read more at: CMTrading.com. 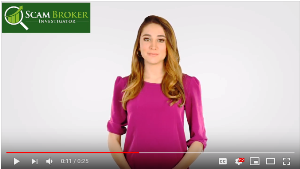 Please tell other people which scam broker Zero Loss Formula told you to use, and the real success rate, in the comments section below.